Inspired by the success of the recent Advanced Style fashion blog and movie phenomenon, which follows the lives of seven super stylish older women in New York, we take a look at the choices for stylish independent living in your home. Requiring some gadgets and aids to help you live independently does not mean you need to compromise on style. With a growing range of products on the market, you can choose items to suit your home. From sleek stairlifts to swish walk-in baths, your home can look stylish at the same time as incorporating the facilities you need to allow you to continue to live in it comfortably and safely. If you have difficulty lifting heavy things, look for lighter weight items such as small kettles, which are ideal for boiling enough water for one or two cups. Choose a long handled dustpan and brush to avoid the need to bend down to sweep the floor. There are lots of stylish designs to choose from, so you won’t need to hide them away when they’re not in use. 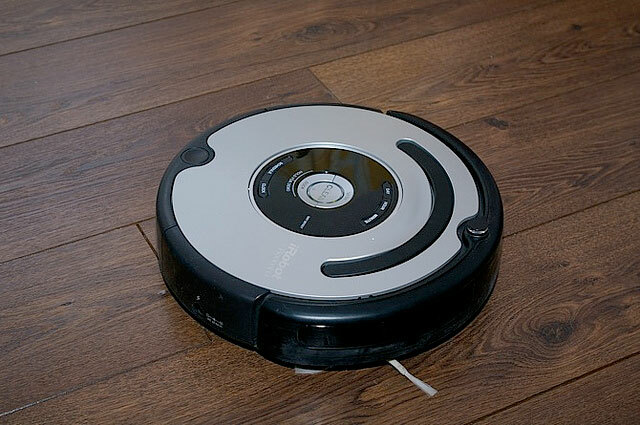 For truly futuristic floor cleaning, get an iROBOT vacuum cleaner, which will do all the hard work for you. You can even choose a model which incorporates a mop function for hard floors. There are also many other kitchen products made to make life easier, including ergonomically designed kitchen gadgets for easy grip or one handed operation, often available in a range of colours. Shower seats needn’t look as though they belong in a hospital. You can get neat wall-mounted seats in a range of styles and materials, including wood. If you don’t want the seat in position all the time, choose a style which folds away when not in use. Smart bathroom fittings incorporate a grab rail into other accessories, such as a soap dish, towel rail or toilet roll holder, so you are safer throughout your bathroom. For those who find it difficult to carry heavy shopping, a trendy shopping trolley is the answer. Shopping trolleys used to look rather dated, but in recent years they’ve had something of a modern makeover and now there are plenty of styles to choose from, including three wheelers with a contemporary all terrain look. Walking sticks are available in all sorts of designs and colours, so you can even choose to match your outfit. If you like to be able to store your stick away when you’re not using it, choose a folding design. There are many suppliers of specialist products which look good too, from Lakeland to Spring Chicken. 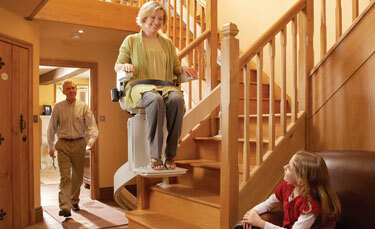 It’s never been easier to combine stylish living with safety and convenience. This entry was posted in OffBeat and tagged elderly, gadgets, living, older, stylish. Bookmark the permalink.